Use nature's herbs to sustain your good health and to treat specific conditions. People everywhere are re-awakening to the centuries old benefits of herbal medicine. There's a reason your grandparents and great-grandparents used these herbs. Have the natural herbs on hand to treat dozens of common health issues. 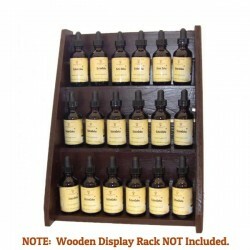 Don't wait for an emergency to use this herbal medicine cabinet. Herbal medicine is the safe and effective choice of naturopathic healers worldwide. 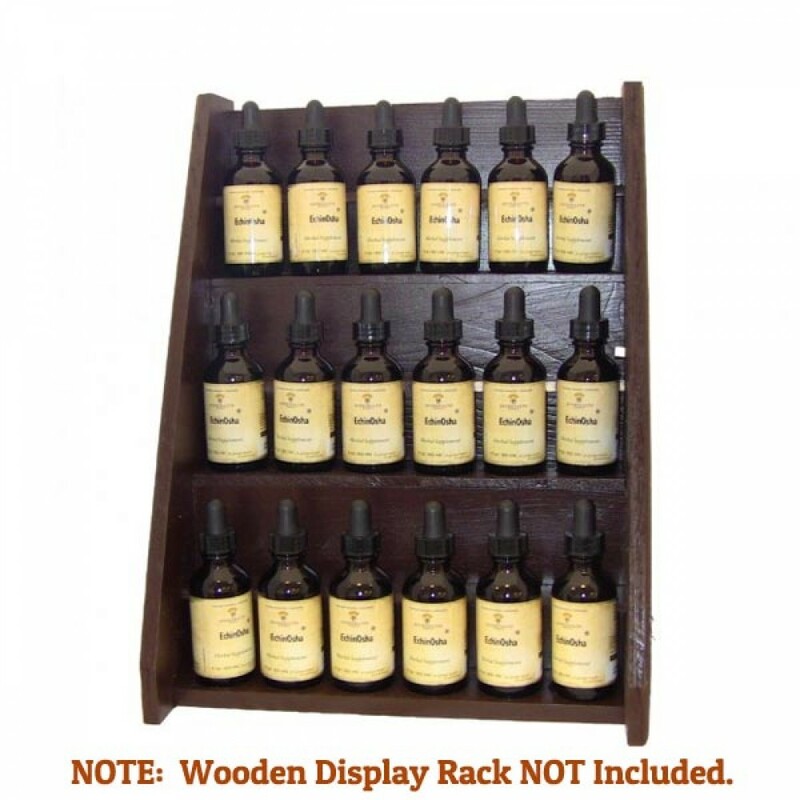 The advanced Herbal Medicine Cabinet is an all-inclusive collection of single herbs & herbal remedies designed to treat a wide range of common ailments. From stress and heartburn to infection and sickness, this collection is perfect for anyone who believes in natural healing and wants to avoid the doctor’s office. This is the advanced herbal medicine cabinet. Hopefully we have covered almost every base. Save over $130 compared to buying these items individually! Great for circulation & heart issues. Can be used to stop bleeding. Great for congestion headaches. Use with Heart Support if you have issues with circulation, neorapathy, etc. Can be used in a neti pot for sinus infections. Fantastic herb used to help relax the body and mind. Great for sleep. Safe for kids to take to help calm down. Anti-Fungal herb, use for candida and other fungal issues. Can be applied topically to fungas and warts, etc. Diuretic. Blood clensing and helps eliminate toxins. Great for liver health and overall detox herbs. Great to use in conjuction with any cleanse and/or detox. Great for upset stomach and diegestion issues ie heartburn, gas, upset stomach. Powerful Anti-Viral Herb. Can be used in neti pot for sinus infections. Gargle with Salt water to help with any oral issues or infections. Great to take with other anti-viral herbs to fight off serious infections. Use to relax instantly. Great for stress, anxiety, nervous tension, etc. Not to be taken in large doses. Great for acute stress situations. Helps detoxify the liver which is so important. A majority of health issues can be traced back to liver toxicity. Use to relax the nervous system, and help with stress. Great to take before bed with a worrying mind. Use to help with sleep and insomnia. Take before bed to help relax the mind. Use for Depression & Stress. A Naturally occuring antibotic herb. Take when feeling sick or sore throat. Helps strengthen your immune system. Great Anti-inflamatory. Use to assist with healing. Great liver purifier. Helps reduce inflammation, etc. Nature’s antacid. Also great to treat headaches and pain. Great for migraines and cluster headaches. Use: To combat any fungal or yeast infections including candidiasis, ringworm, athlete’s foot and toenail and fingernail fungus. May also be applied topically. Use: For urinary tract infections. Also for toning and strengthening the kidneys and bladder. Use: Use topically and internally to manage and combat cold-sores any other viral infection. In addition to their direct anti-viral activity, the herbs been shown to have anti-inflammatory, demulcent and nervine properties. Use: For the relief of striated and smooth muscle cramping. It is especially useful for ovarian and uterine (menstrual) cramping or in cases of threatened miscarriage. Use: Enhances and activates the immune system to increase overall resistance to disease. For immune stimulation in times of exposure to bacteria or virus take one dropperful every hour in juice, water or other beverage. Use: For prevention of or accelerating recovery from common cold and flu, respiratory infection, throat nose and sinus infection. Use: Add one to two droppersful to the reservoir water of your dental water pulse, or use in warm water as a mouthwash. Helps fight receding gums, reduces gingival and dental plaque, heals mouth wounds, fights bad breath and tastes great! Use: For hypertension, hypotension, elevated cholesterol and any other cardiac or circulatory weakness. Use: For sore throats, swollen glands, laryngitis, spray to the back of the throat 4-5 times per day. The resinous propolis coats the throat with antibiotic activity for long lasting and soothing relief. Use: To prevent the formation and ease the passage of kidney stones. Use: As a lower bowel tonic for relief of temporary or chronic constipation. This syrup can be used as a less habit forming substitute for over the counter laxatives. Use: To gently encourage the flow of bile, cleanse and restore the liver and gallbladder. Used in treating hepatitis, jaundice, liver toxicity and constipation. Use: Use this blend to strengthen, tone and heal damaged or weakened lung tissue. Especially useful for aid in recovering from smoking, bronchitis, pneumonia and any other pulmonary disorder. Use: For chronic swelling and congestion of lymph glands, fluid filled cysts, ovarian cysts, chronic irritation of the nose, throat and sinuses, skin disorders and as an adjunct therapy for tumors and cancer. Use: Prior to and during the allergy season to control hayfever, sinus congestion and allergies. Especially useful when combined with Adrenal Strength Blend or Immune Strength Blend. Use: To control the pain of tension headaches, nervous headaches, cluster headaches, arthritis, neuralgia, and fibromyalgia. Use: To rid the body of roundworms, pinworms, tapeworms, spirochetes and amoebas, or whenever parasitic activity is suspected. Bitter and carminative herbs increase digestion while preventing intestinal cramping. Use: For relaxing and strengthening the nervous system while protecting and restoring the heart and adrenals. May be used for depression, anxiety, nervous tension, nervous exhaustion, insomnia, and nerve trauma. Use: To promote sleep or to relax nervous tension and muscle spasms throughout the day. Take 1-2 droppersful in water or juice 1/2 hour before bedtime or as needed during the night for insomnia. Reduce dosage for daytime use to 30-60 drops every 3-4 hours. Use: Contains digestive and nervine herbs to settle tummy aches due to indigestion or anxiety. This blend can be used to calm a hyperactive, irritable, overtired or stressed child. All the anti-viral, anti-bacterial benefits of EchinOsha combined with the flu-fighting power of Elderberry in a good tasting syrup. A soothing, expectorating, good tasting syrup designed to calm a cough fast. Use: For ear inflammation or infection. Warm the oil to body temperature in a pan of hot water. Lay head to one side and place 2-5 drops in the ear, plug with cotton. Always treat both ears. Suggested Use: Apply liberally to unbroken skin to soothe and speed healing of injured tendons and ligaments, sore muscles, back pain, bruises, sprains, fractures, dislocations and arthritic pain. Use: Apply to cuts, scrapes and skin abrasions to soothe and speed healing. Use: Apply to skin rashes and irritations due to contact dermatitis poison ivy and oak, insect bites, diaper rash, psoriasis, eczema and rashes of unknown origin. A natural alternative to cortisone cream. Fight heartburn naturally with this all-natural chewable antacid. Great for Heartburn!